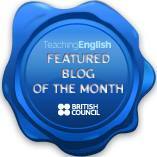 So here we are – a brand new section on The TEFL Show website with videos about ELT. This and the next few will be about IATEFL 2016 conference, but soon we’ll be adding more teacher training videos. In this video I talk about IATEFL 2016 Teacher Development SIG Pre-Conference event, which I had a chance to attend and present at. There were three great talks and a whole day of productive workshops and discussion on Language and Identity, Accountability and Responsibility, and Qualities of Effective Teachers. You can find out more about TD SIG from their website here.